The Ancestry Composition report uses DNA you inherited from both sides of your family and estimates the proportion of your DNA that comes from each of 45 worldwide genetic populations, offering a detailed view of your ancestry from before ocean-crossing ships and airplanes were on the scene. The report also compares your DNA to individuals of known ancestry from over 1000 countries and territories in Europe, Africa, the Americas, Asia, and Oceania, telling you more about where your recent ancestors may have lived within the last 200 years. The Share and Compare Pedigree allows you to trace the flow of your ancestry through each genotyped generation. 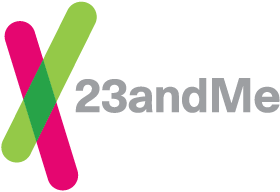 If you have a biological parent who is also in the 23andMe database and sharing with you, you can see which ancestry you inherited from your parent. The more generations you have genotyped, the further back you can trace your ancestry.